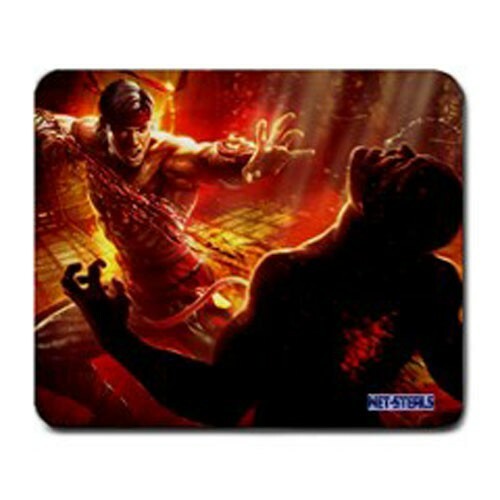 -This 9.25" x 7.75" rectangular mousepad is made of a durable heat-resistant polyester fabric top, will keep your mouse rolling in style. -Backed with a neoprene rubber non-slip backing, keeps the mouse pad from sliding. -The mouse pad is 1/8" thick. -It will not discolor or fade, machine washable. Winning buyer to pay $5.50 Shipping to anywhere within US. Canada or outside of US, the shipping will be $16.95. Payment must be received within 48 hours after the purchase and in US Dollars Only, and the form of payment are through Paypal. All items for the Net-Steals brands from me are new special orders that are shipped on-demand, so please allow 10-14 business days(on international orders, it may take longer) for the item to be prepared and to arrive.